Before we begin, I thought I would start by saying thanks to everyone that joined the Authority Matrix and I’m sure it’s going to really help you progress in your business. For those of you who had a look but for whatever reason, didn’t buy, thanks for the feedback from some of you and I’m planning to re-open it again in a few months if you want to join the waitlist. 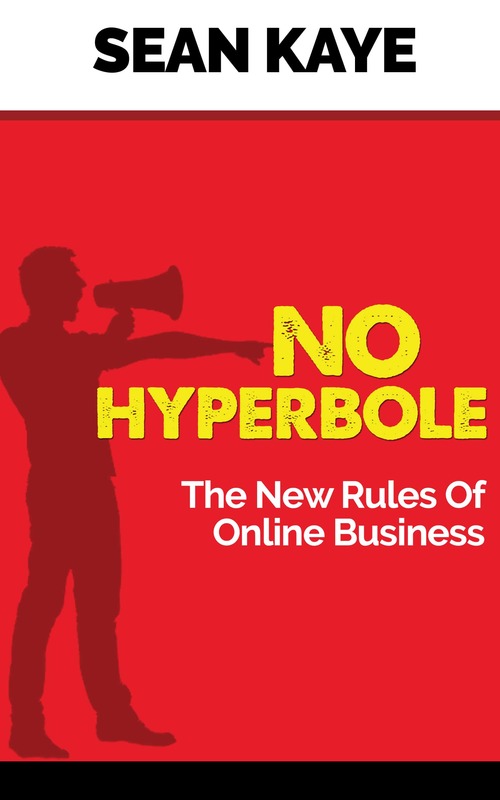 In the world of building online businesses, the people who have ascended to (or appointed themselves in many cases) “guru” status are one of the most polarizing groups of people you’ll find. Almost anyone who has tried to learn how to build an online business has come across at least one, if not dozens of these folks and subsequently has an opinion. Stuart Walker, who runs Nichehacks (one of the best sites on the internet for learning about niche marketing) asked people about “gurus” in his FB Group where he has about 45,000 people – it was fascinating to read the comments and really crystallized for me something I’d known for quite some time about how people “feel” about the gurus. These people used to really annoy me because seven or eight years ago, I got a look behind the curtain and saw firsthand how most of what they were telling people about themselves was simply fraudulent. You couldn’t even call it lying, it was worse than that – it was deception for the purposes of profit. As a result of that experience, I became really quite bitter towards that type of individual and went the opposite direction – I decided not to aspire to any form of the limelight and just do my own thing. That works to a degree, but eventually, you need to step out of the shadows a bit and put yourself on a stage where more people can join your audience. I’d like to say that this is all about “serving people” and “helping others” but the nuts and bolts of it simply is that without having a broader appeal to a wider audience, you simply aren’t going to be able to make “real” money. You’ll do ok, low to mid-six figures at the top end if you’re successful, but it’s unlikely you’ll grow past that. Remember, what I’m talking about here is building an audience that’s interested in what you know and selling information products – if you’re running an eCommerce business or selling services online, this may not apply to you. But why are the “gurus” so polarizing and how do you avoid that as you grow your own audience? Probably the number one reason that many of the gurus are disliked has nothing to do with them – it’s envy. The person who holds the anger is internally conflicted about their own lack of success and they outwardly project that onto the gurus they envy. The reason that gets “discussed” the most is that people often feel like the gurus are holding back some “magic” formula that prevents you from getting ahead and succeeding so as to prevent you from competing with them. There are two problems with this particular argument. First of all, they aren’t really holding anything of consequence back. The reality is that pretty much everything you see is what you get – remember that line because it will become important in a bit. They don’t really any secret sauce trick or hack that they’ve got tucked up their sleeve – for the most part, what they’ve learned is to be producers rather than consumers and the value of consistency. They have a tendency to create on a regular basis. They also know that they don’t require permission – they just create stuff and put their stuff out there. There’s nobody who has to deem them worthy. What many of them have that you don’t have are: momentum and a network of promotional partners. That is a tactical advantage that they have over you that in fairness they built over time – it’s an asset that they’ve earned that you haven’t, you can’t fault them for using it. The second problem is a bit more profound and requires some introspection to genuinely appreciate – you’re not competing with them. They don’t see you as competition. You’re a customer to them, they have no fear of you coming after their audience because they know that most people simply won’t do the work and the ones who do and are successful, the market is big enough for everyone. Are you really doing that? If so, you’ve got bigger problems because you don’t even want to be a puppet, you want to be a prettier parrot. But really, most of that anger is irrelevant and misdirected. The reality is, most “gurus” are street magicians. I’ve said this a few times lately and I made the comment that you shouldn’t be listening to what people are saying and instead watch their hands. A few people picked me up about this saying that watching a street magician’s hands is a “rookie mistake”. The answer to that is “sorta” – it depends on your definition of “watch”. 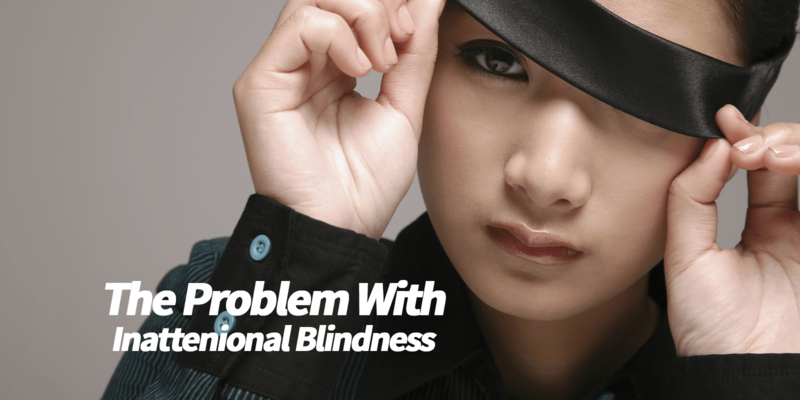 Street magicians and tricksters, in general, operate in an area of human psychology and physiology called “inattenional blindness” or sometimes referred to as “perceptual blindness” – this is how all sleight of hand tricks work. Essentially, the person performing the trick gets your brain to focus on something, become accustomed to the visual perception. Once they have your brain comfortable believing what it’s seeing, they shift your attention slightly while doing something slightly different in the visual space your brain is comfortable processing so it misses the change. The classic example of this is the vanishing ball illusion. In this trick, a person has a small ball in one hand and they toss it up in the air and catch it in the same hand a few times. They establish a consistent rhythm so your brain adjusts to what it’s seeing. Then the person throwing the ball up in the air makes the motion to throw the ball, but palms it instead. Scientific studies have shown repeatedly that 67% of people will see the ball being thrown in the air on the last throw and that it somehow just vanished in mid-air. That’s classic inattentional blindness. Your brain cheats to save computation energy requirements because processing visual signals are expensive for your body. And many of the online business gurus that you follow exploit this VERY well. Neil Patel is a guy that a lot of people have run across if you’ve looked into any form of content marketing or SEO type stuff for your online business. Neil has successfully started a bunch of companies over the years and has a big audience, but there is an element of magic in what he does. The other day he posted on his blog about he is going to spend $144k in 2018 building out YouTube videos. He talks extensively about how much money he spent in 2017 on video, the results he’s gotten and the whole post is loaded with graphs and screenshots with lots of stats, figures and acronyms. Neil declared that 2017 was all about blogging but 2018 will all be about video. Except this entire, nearly 3000-word blog post didn’t contain a single video in it. What it did contain was some very keyword rich content and a URL with the phrase, “video marketing success” in it. None of Neil’s stuff EVER has dates in it either, he’s even removed the dates from comments that people make. On SmartBlogger which is run by Jon Morrow – they have a post from earlier this year which is described in the title as a “How to Write a Blog Post – The Ultimate Guide”. No prize for guessing what it’s about. The post comes in at a HEFTY 6800 words and is very much geared towards talking about headlines, subheaders and a variety of writing “tricks” to hook your readers. I don’t say that in a bad way, it talks about the “craft” of writing content. Interestingly, again, despite dozens of comments, not a single person references that the post is structured in a VERY particular way and is incredibly dense in the way it positions keywords. In fact, according to Ahrefs, that one article ranks for over 750 different keywords. And nowhere in that long post does it mention “keywords”, “SEO” or anything about the actual structure they used (which is pretty good) for that post. So they created an “ultimate guide” on how to write a blog post but didn’t mention a single thing about the way that they wrote that blog post at all. They want you to optin to their list, so a great deal of the content is spent banging on about “mouth-watering headlines” and other such stuff so that you’ll optin in for Jon’s “52 Headline Hacks” lead magnet. Neither of these two examples are overtly malicious. They are actually exceptional examples of good content marketing on many levels. But they are equally classic examples of what I’ve been referring to as street magic. The trick is happening in plain sight and the only thing going on is you’re not paying attention to the right thing, the magician has sufficiently diverted your attention to what he wants you to see so that he gets the outcome he’s looking for. You don’t have to dislike them and get bitter about their marketing. You should be watching their hands – REALLY watching, paying deep attention to see not what they want you to see, but what’s REALLY going on. It won’t cost you anything and it will be the most insightful way to learn from them.